We don’t like to play favorites when it comes to coffee, but many of you know that ever since our friend and long-time Papua New Guinea consultant, Steve Teisl first established trade with Papua New Guinea nearly 17 years ago we have enjoyed a strong rapport with this island province of the Indonesian Republic. 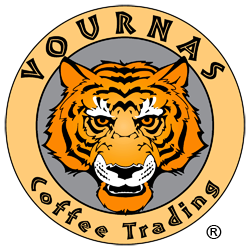 Flash forward to 2017 – Vournas Coffee Trading is North America’s #1 green coffee importer of Fair Trade Organic Papua New Guinea coffee, our stock of FTO Papua New Guinea Purosa is a Vournas exclusive, and it consistently sets a high bar as an anchor at our cupping table. Of course we’re proud to tout the distinction and, truth be told our Papua New Guinea pride runs deep, but we didn’t get here overnight. For a (very) long time we’ve been travelling the world, hunting down the best origins and every time we come back in awe to Papua New Guinea. I remember during one of our first PNG trips in 2006 when Steve and I arrived in Goroka—we took a helicopter up into the Eastern Highland mountains, roughly 5,000+ feet up into a land of never-ending rainforests, waterfalls and shade trees. In a clearing bordered by thatched huts and brightly colored gardens we were immediately greeted by scores of farmers, families and their children, fervently waving with big smiles—truly some of the most amazing and friendly people I’ve ever encountered! We met with the heads of the villages and the leaders of Highland Organic Agricultural Cooperative (HOAC) who live throughout Purosa, Ivingoi, and Okapa and manage this incredible operation all the way from the farms to the freighters in the Port of Lae. 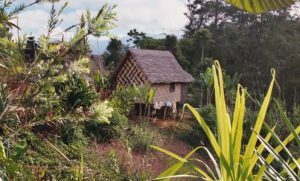 Over the years we have continually expressed our interest in QUALITY above all else and the growers and co-ops have responded in a big way—our 2016 FTO Papua New Guinea Purosa crop was one of the best yet. 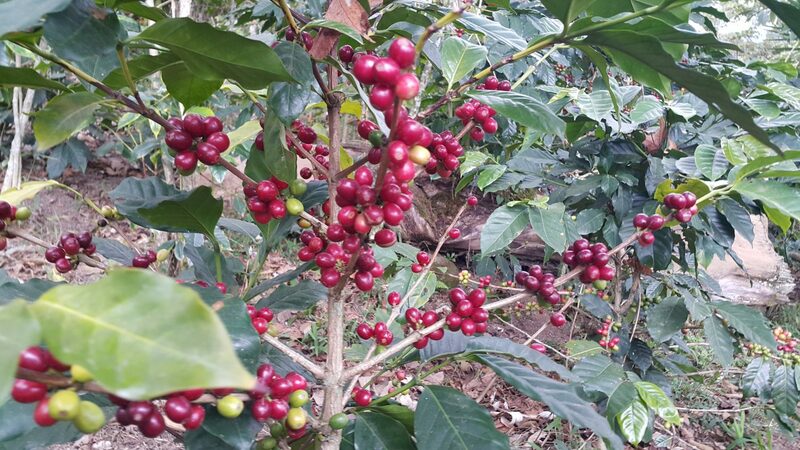 We picked up a sister lot of our Bourbon/Typica Papua New Guinea Kamarl from the Koban region, which has a nice, orange-citrus note and a great contrast to the Fair Trade Organic Purosa. Don’t forget dear readers, there’s always an open invitation waiting for you to join us at our cupping table in Westlake Village for a sampling of that famed Vournas quality. And you can bet our exclusive FTO Papua New Guinea Purosa along with our other marquis exclusives will be at the ready to win you over! As the #1 U.S. Importer of Fair Trade Organic Papua New Guinea coffee, we offer several excellent options for coffees from Papua New Guinea including our Fair Trade Organic Papua New Guinea Purosa, our Papua New Guinea Kamarl, our Papua New Guinea Organic Purosa and our Fair Trade Organic Papua New Guinea Purosa Decaf SWP.